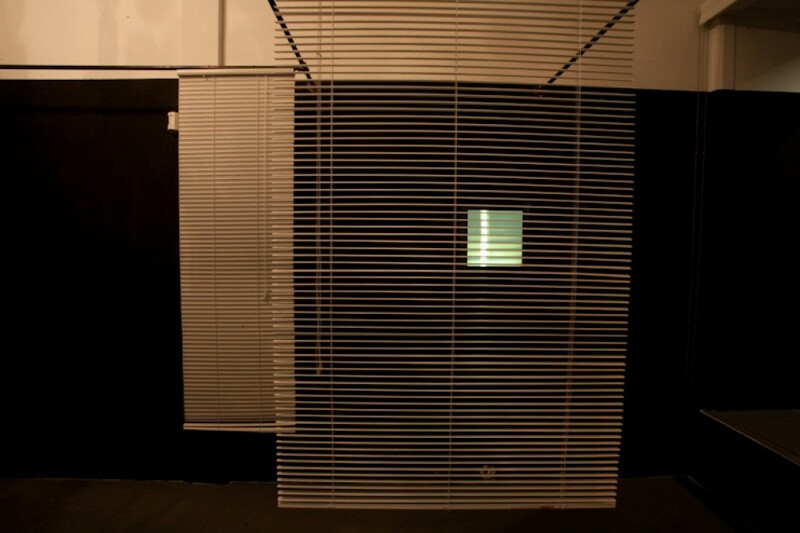 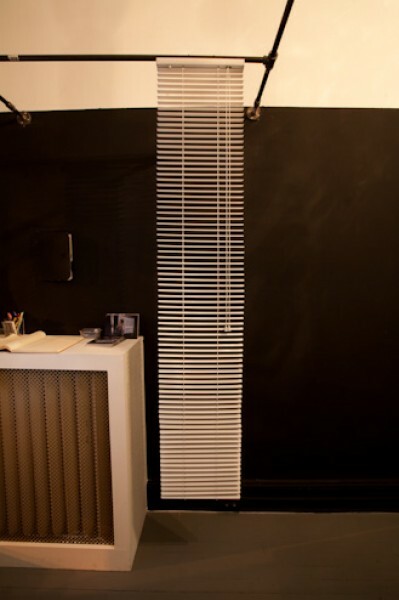 Blueprint III A site-specific installation using hanging window blinds to present a three-dimensional sketch contained within the gallery. 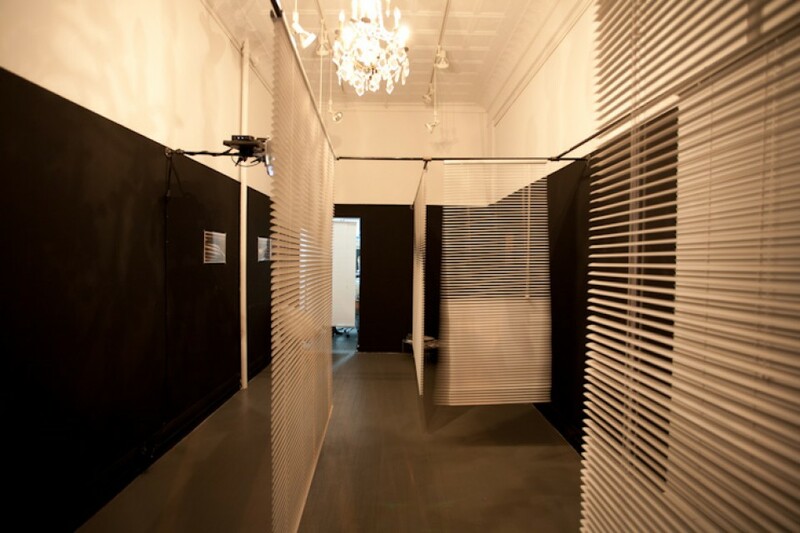 Suspended from the ceiling in a range of sizes and configurations, the white blinds create a floating labyrinth of walls, rooms, and spaces within the layout of the gallery space. 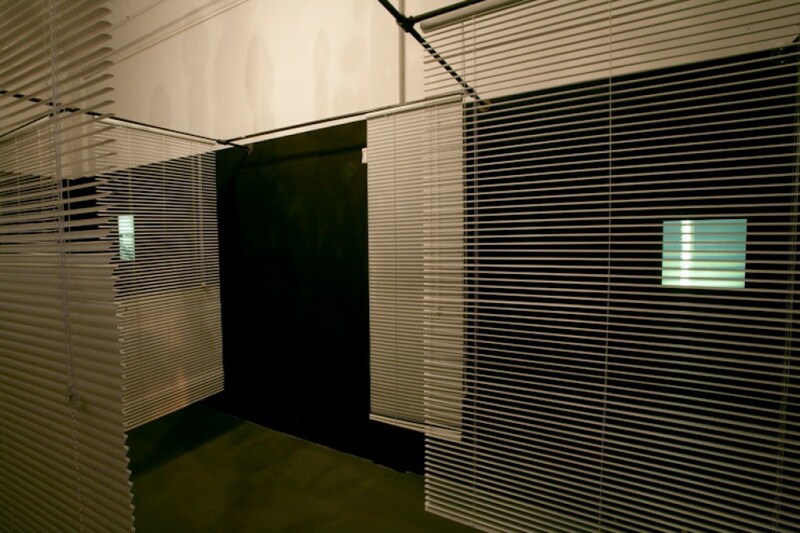 Entrances invite visitors to experience the revised spatial and physical relationships brought about by this material diagram. 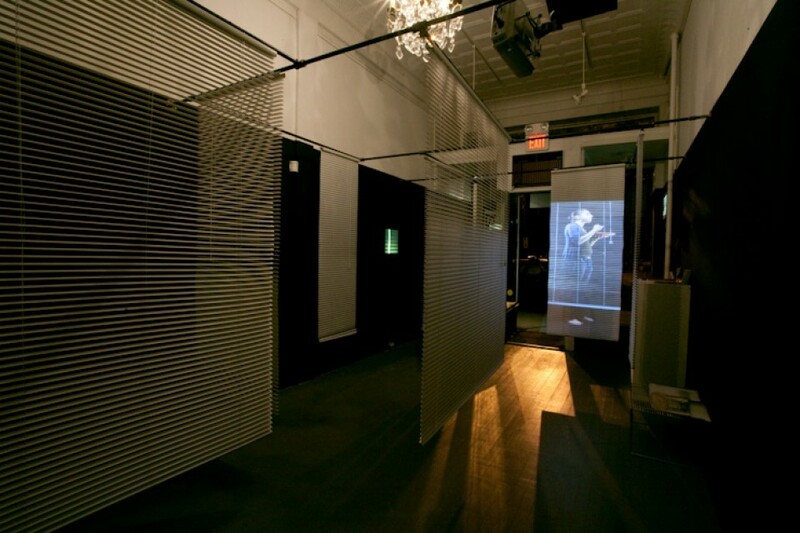 The installation incorporates video performances, projected directly onto the blinds, which relate both to the space and to the viewer. 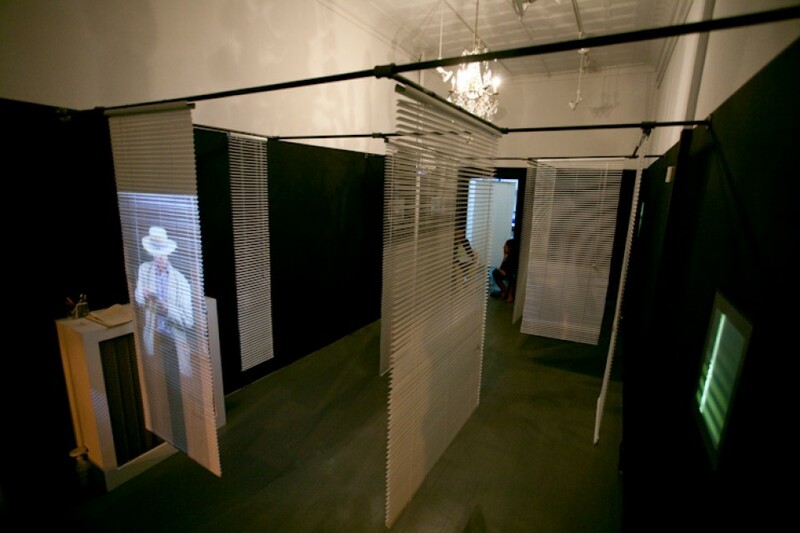 The projections posit various realities that might be unfolding behind the blinds and point to the relationship between public and private, creating an illusion of intimacy in the public space of the gallery.